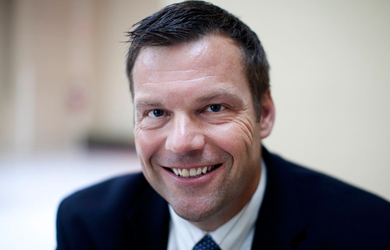 A federal judge in Kansas came down hard on Kansas Secretary of State Kris Kobach and two of his allies on Monday while overturning a Kobach-championed law that required people to prove their citizenship when registering to vote. 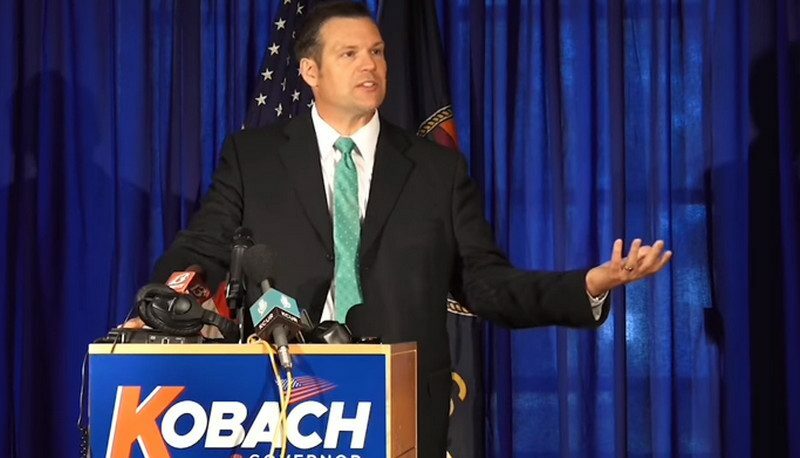 Kobach is currently running for the Republican nomination to become the state’s governor. This decision is a stinging rebuke of Kris Kobach, and the centerpiece of his voter suppression efforts: a show-me-your papers law that has disenfranchised tens of thousands of Kansans. That law was based on a xenophobic lie that noncitizens are engaged in rampant election fraud. The court found that there is ‘no credible evidence’ for that falsehood, and correctly ruled that Kobach’s documentary proof-of-citizenship requirement violates federal law and the U.S. Constitution. Defendant insists that these numbers are just ‘the tip of the iceberg.’ This trial was his opportunity to produce credible evidence of that iceberg, but he failed to do so. … Instead, the Court draws the more obvious conclusion that there is no iceberg; only an icicle, largely created by confusion and administrative error. One of the “expert” witnesses Kobach had offered to back his conclusions was Steven Camarota, research director at the anti-immigration Center for Immigration Studies. Camarota testified that the Kansas law did not unduly burden Kansans’ ability to register and vote. Judge Robinson ruled that “the Court does not find him qualified” to interpret census data in relation to the Kansas voter registration law, “particularly to the extent he challenges Professor Michael McDonald, whose expertise and scholarship in election law is extensive, and who more closely evaluated the administrative data.” McDonald had testified that among the tens of thousands of voter registrations that were suspended or canceled under the law were disproportionately young and unaffiliated voters. The Court gives little weight to Mr. von Spakovsky’s opinion and report because they are premised on several misleading and unsupported examples of noncitizen voter registration, mostly outside the State of Kansas. His myriad misleading statements, coupled with his publicly stated preordained opinions about this subject matter, convinces the Court that Mr. von Spakovsky testified as an advocate and not as an objective expert witness. … While his lack of academic background is not fatal to his credibility in this matter, the lack of academic rigor in his report, in conjunction with his clear agenda and misleading statements, render his opinions unpersuasive. Given the evidence in the trial record that before the Court’s preliminary injunction about 12% of all new voter registration applicants were either suspended or canceled, the Court finds that the burden imposed on Kansans by this law outweighs the state’s interest in preventing noncitizen voter fraud, keeping accurate voter rolls, and maintaining confidence in elections. The disclosure violations set forth above document a pattern and practice by Defendant of flaunting disclosure and discovery rules that are designed to prevent prejudice and surprise at trial. The Court ruled on each disclosure issue as it arose, but given the repeated instances involved, and the fact that Defendant resisted the Court’s rulings by continuing to try to introduce such evidence after exclusion, the Court finds that further sanctions are appropriate under Rule 37(c)(1), which permits, in addition to exclusion of the evidence, “other appropriate sanctions.” It is not clear to the Court whether Defendant repeatedly failed to meet his disclosure obligations intentionally or due to his unfamiliarity with the federal rules. Therefore, the Court finds that an additional sanction is appropriate in the form of Continuing Legal Education. Defendant chose to represent his own office in this matter, and as such, had a duty to familiarize himself with the governing rules of procedure, and to ensure as the lead attorney on this case that his discovery obligations were satisfied despite his many duties as a busy public servant. The Court therefore imposes a CLE requirement of 6 hours for the 2018-2019 reporting year in addition to any other CLE education required by his law license. These 6 additional hours must pertain to federal or Kansas civil rules of procedure or evidence. Defendant shall file a certification with this Court before the end of the reporting period on June 30, 2019, certifying that this CLE requirement has been met.